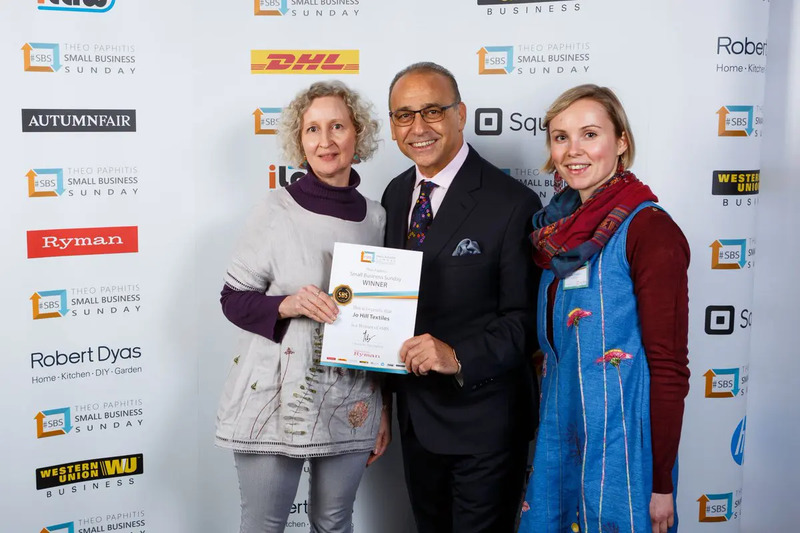 Local textile designer Jo Hill celebrated a fantastic start to 2019 after winning the Theo Paphitis Small Business Sunday (SBS) award. Every Sunday evening, Theo, former ‘Dragon’ on BBC show Dragon’s Den, chooses his top six independent businesses on Twitter with the aim of celebrating the wealth of entrepreneurial talent in the UK. Inspired by this success and keen to take her business further, Jo will be launching a range of three brand new designs at her Open Studio event which takes place on Saturday 18th and 19th May 2019. If you would like to see Jo in action demonstrating her sewing technique, or you would like to take part in a workshop, the studio doors will be open from 10am – 4pm on 18th and 19th May. The event will once again be supporting Staffordshire Women’s Aid.